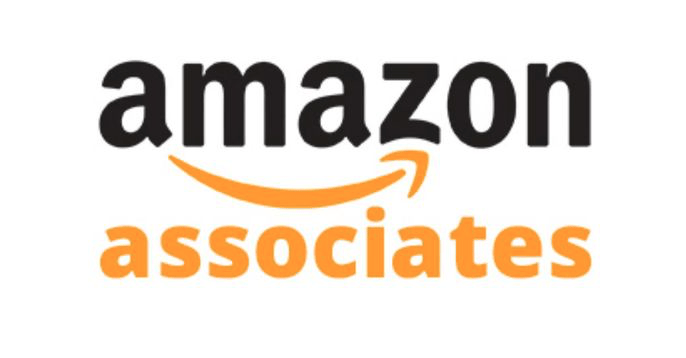 If you’re a UK taxpayer and you earn money from Amazon Associates, you have a legal obligation to declare and pay tax on Amazon Associates earnings, regardless of how much you earn from the program. Amazon Associates is an affiliate program which works by paying those who are subscribed to the program a commission for each referral they make i.e. if someone click on a link from a blog to the Amazon website and buys something, Amazon pays a small percentage to the blog owner in commission. Commission – just like any other form of earnings – it subject to Income Tax. But I earn under my taxable income – do I still have to declare earnings from Amazon? Yes. Even if you earn £1 in a year from Amazon, you still need to declare it, even if you have earned under your annual taxable income. For example, the majority of people in the UK are currently given the tax code 1100L. This means that they can earn £11,000 before paying any income tax. You might think £100 is not worth declaring, but you should speak to HMRC if you are in any doubt. I have a job that I’m paid monthly for. Do I still need to pay tax on Amazon Associates earnings? Absolutely. Just because you already pay PAYE or Self Assessment on a ‘main’ job, doesn’t make you exempt from paying Income Tax on your additional earnings. But Amazon pay me in vouchers – aren’t vouchers tax free? No, they’re not as they have a cash value. If it was that simple many business owners would pay their staff with vouchers. In fact, you can opt in to be paid direct to your bank account with Amazon Associates but it can be expensive depending on how much you ear (you need an International Banking Number – IBAN – and your bank will charge you commission for using it). How do I declare my earnings from Amazon Associates? Just like any other Sole Trader or business, you should keep a record of all earnings from any online programs that you earn money from. I my case I keep a spreadsheet and record the date of the payment, who it is from and how much I was paid. I also keep a copy of the email confirmation which is sent from Amazon every time I reach the payment threshold. If you are a Sole Trader, you’ll need to register as Self Employed with Her Majesty’s Revenue and Customs (HMRC) and complete an annual tax return. If you are already a business, you’ll need to declare the earnings just like any other form of income. You may wish to employ an accountant to complete your annual Tax Return for you. A good accountant will explain what you need to do and will usually charge between £100 and £200 per year to complete and submit your tax return. Again, regardless of how much you earn, you may need to pay National Insurance Contributes (NIC). However, some people may be exempt from paying NIC on small earnings. At the time of writing, the small earning threshold was £5965 [more info here]. Firstly (and probably most importantly) ensuring that you pay tax on Amazon Associates earnings means you’re abiding by the law. It also means you are fairly contributing to society in general. Secondly, there are benefits to being registered as Self Employed. For example, you can claim expenses for certain items connected to your business, such as the cost of the domain name and hosting of your website or blog. If you pay for people to design you images for the website, or pay for Google Adwords, you can also claim these if directly associated with your business. This deductions can then be offset against your total tax liability so speak to an accountant for more advice. There are severe penalties for any who fails to declare and then pay tax on Amazon Associates earnings which is due. First of all, you’ll be fined for any income you failed to declare and you’ll have interest added. In more severe cases there is even the chance you could be prosecuted or imprisoned. HMRC employs many different methods to track down tax dodgers, including sophisticate software. I’ll only earn a few hundred pounds from my Amazon Associates earnings this year but will alway ensure that I include them with my Self Assessment declaration. After all, it’s really not worth risking it to avoid paying a bit of tax, is it? I recommend you read the book ‘Amazon Associates: a complete guide‘ if you’re new to the program. There is lots of information, hints and tips in the book.